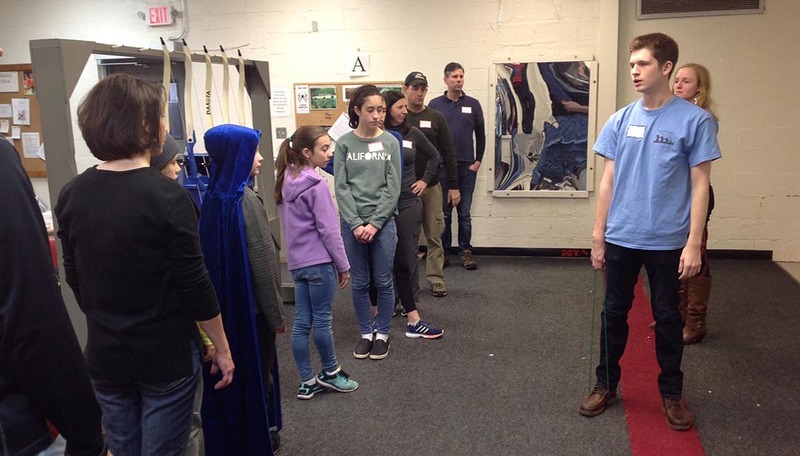 There are a number of ways to initially experience archery through The Archery Program – General Introductions, Private Introductions and summer camps for kids. Equipment is provided for all. The Archery Program uses really light-weight equipment at the beginning, which is critical for learning properly. General Introductions – For those who have never shot, the One-Time Introduction allows you to either experience what target shooting is like, or to assess the interest of a child. In a small group with 2 instructors, there is basic instruction, then each instructor works with one person as he/she shoots. So, for an hour and a half, you can experience of what shooting is like and what instruction is like. Equipment is provided. Gift Certificates for Introductions are available. Private Introductions – For groups (Scouts, birthday parties, etc.) Private Introductions are possible. Contact The Archery Program directly for information. While parties are more relaxed, the general format of a Private Introduction is the same as the General Introduction. Summer Camps for Kids – The Archery Program runs 3-day summer camps throughout the summer for kids 9-15. Registration is through the Fairfax County Parks and Recreation ParkTakes program. These camps are a longer exposure to shooting, learning basic technique, a short introduction to compound, and just having some fun. General One-Time Introductions are regularly scheduled. The dates are listed on the registration form by month. Click the corresponding button below to view dates, times, and prices for the upcoming General One-Time Introduction classes separated by month.